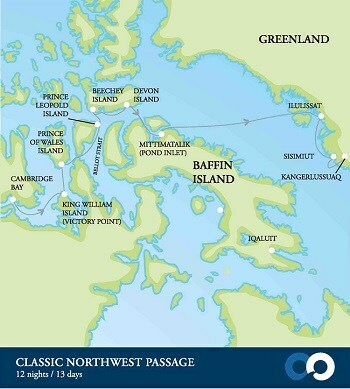 The Northwest Passage – Eastbound – The Great Canadian Travel Co.
US$1,000 travel credit per person for bookings made on this voyage by 31 May, 2019! 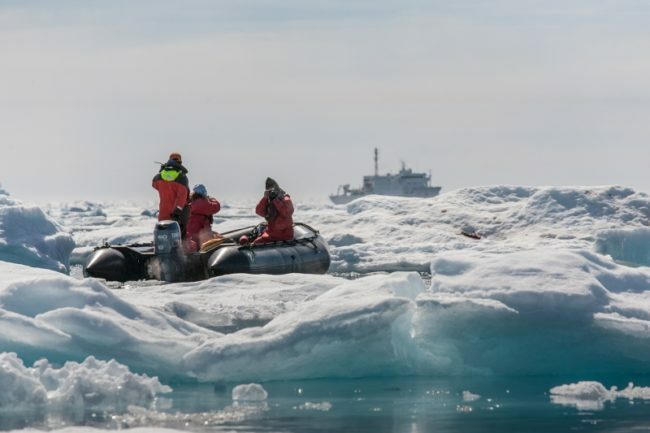 On this iconic voyage through the remote Northwest Passage wildlife is a major drawing card, but there is also plenty of historical interest, and the stories of Sir John Franklin’s ill-fated expedition nearly 170 years ago are central to our voyage. Special offers are not applied to the regular prices shown below. Revised pricing will be quoted at the time of your inquiry. US$1,995 – charter flight one-way Edmonton-Cambridge Bay and Kangerlussaq to Ottawa. Prices are quote per person in US$, based on two people sharing regular cabins or suites. Single cabins are available for 1.5X the per person twin occupancy price for regular cabins or 2X for suites. Single rates are not available in the triple cabins. We depart Edmonton for our flight to Cambridge Bay, a remote outpost above the Arctic Circle. Located on the southern shores of Victoria Island, today it is a centre for hunting, trapping and fishing. Excitement is in the air as we enjoy a welcome cocktail and cast off, bound for the fabled Northwest Passage. Franklin made his last heroic foray into the Arctic in 1845 with two ships and 129 men, never to be heard from again. The fate of the expedition remained a mystery until September 2014, when one of the vessels, HMS Erebus, was discovered in a remarkable state of preservation in the frigid waters of Victoria Strait. 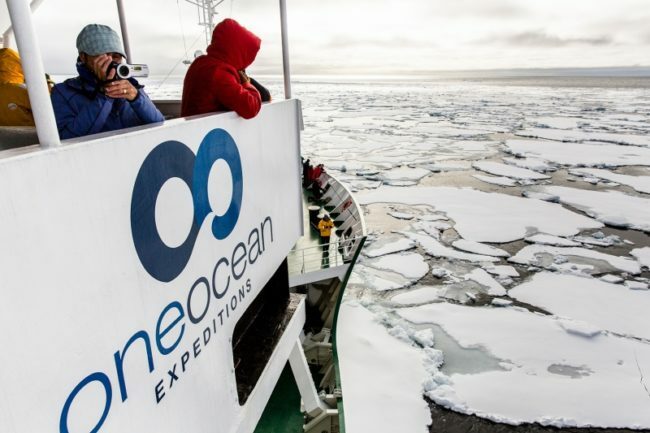 One Ocean Expeditions played a vital role in the search by carrying underwater search equipment on our ship as well as scientists, historians, researchers, dignitaries and sponsors of this history defining mission. 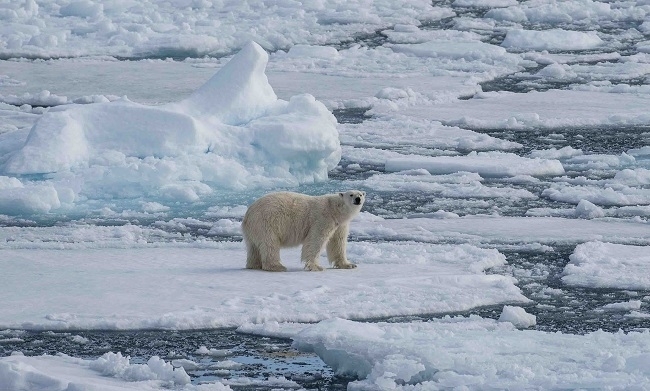 Allison, one of our Arctic specialists, has done the Northwest Passage cruise. Read her blog or call to talk to her about her personal experience on board the Akademik Ioffe sailing this epic journey. As we chart a course into the Northwest Passage, our onboard presentation series begins, and the legend of Sir John Franklin and his ‘lost expedition’ starts to unravel. We aim to visit Victory Point, travelling very near the actual location of the wreck of HMS Erebus. Experts agree that the second of Franklin’s lost ships is likely to be in this vicinity. This morning we arrive at Conningham Bay on the shore of Prince of Wales. Here, in the heart of the Northwest Passage, we hope to encounter one of the most remarkable wildlife sites in the Arctic. This is a known hotspot for polar bears who come here to feast on Beluga whales, often caught in the rocky shallows at the entrance to the bay during low tide. It is not unusual to find the shoreline littered with whale skeletons – and very healthy looking polar bears! Today we transit the narrow passage of Bellot Strait – a channel separating northerly Somerset Island from continental North America. The mixing of waters in this strait provides an abundant food source for marine mammals, and we will keep our eyes peeled for harp seals, bearded seals and even polar bears. The skill of the Captain and Officers and capabilities of the ship becomes apparent during this exciting day of Arctic navigation. The historic site of Fort Ross, located at the southern end of Somerset Island, is a former Hudson’s Bay Company fur trading outpost. Fascinating archaeological sites nearby tell a story of more than a thousand years of habitation by the Inuit and their predecessors. Beechey Island holds great historic importance on our journey through the Northwest Passage. It is here that Sir John Franklin’s ill-fated expedition spent its last ‘comfortable’ winter in 1845 before disappearing. 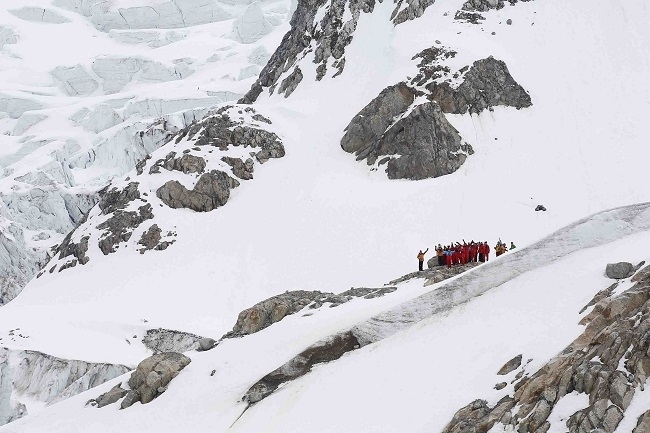 This is a thrilling location for history buffs and for many it will be the defining moment of our expedition. Cruising the coastline of Devon Island, we are now in the waters of Lancaster Sound – a rich, bio-diverse region often referred to as the wildlife ‘super highway’ of the Arctic. Massive volumes of water from Baffin Bay to the east, Beaufort Sea to the west and the archipelago of islands to the north combine here to make a rich cocktail of nutrients supporting an abundance of Arctic wildlife. We plan to visit the old Royal Canadian Mounted Police (RCMP) outpost at Dundas Harbour, on Devon Island. Musk ox and Arctic hare are sometimes sighted in the vicinity and there are some great hiking options in the area. We sight the wild north coast of Baffin Island and navigate through Navy Board Inlet. The vast landscapes of Sirmilik National Park tower surround us as we approach the remote Inuit community of Mittimatalik (Pond Inlet). 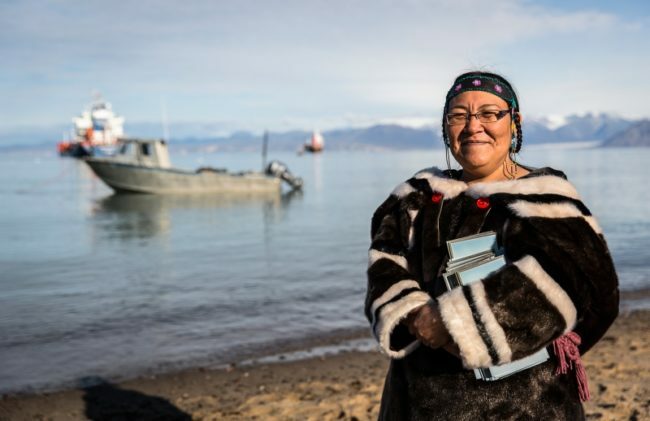 We are welcomed ashore and visit the Natinnak Centre, where a fascinating cultural exhibit showcases aspects of daily life, culture and history of the people of the north. 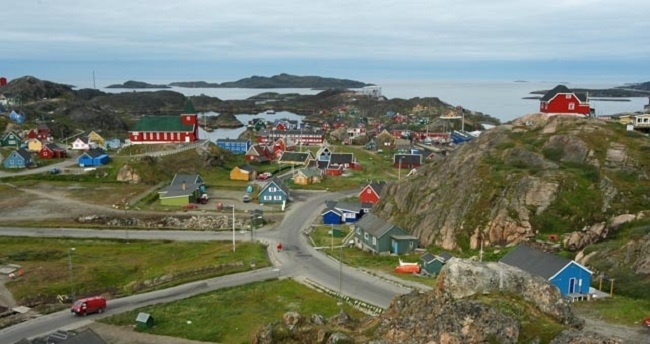 Inuit carvings, jewellery and other traditional craft is on display and purchasing such items from the local artisans is a great way to support the community. We will also enjoy meeting the local children of Mittimatalik and marvel at their athletic abilities as they demonstrate traditional Inuit games. This morning we enter the spectacular Gibbs Fjord with towering cliffs all around us. 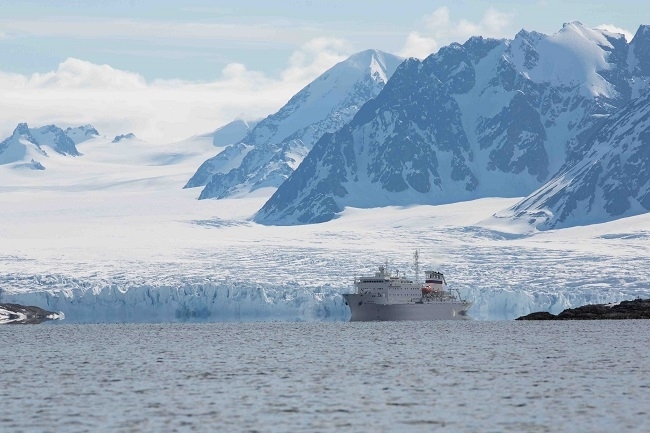 Our expedition ship will seem dwarfed by the giant peaks and snowy glaciers as we cruise slowly along the dark waters. One past guest was known to liken Gibbs Fjord to a ‘scene from a Lord of the Rings’ – it’s hard to disagree! 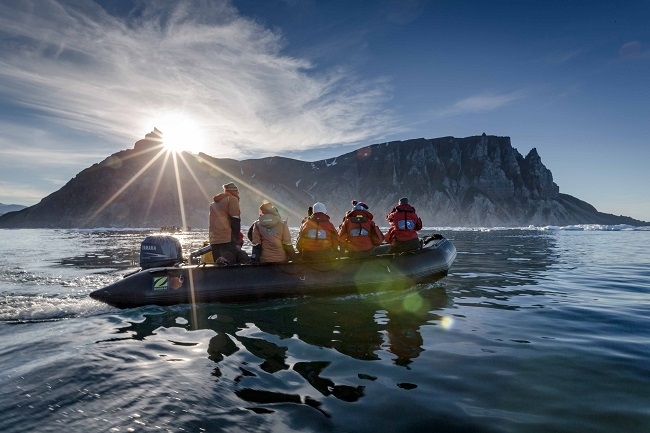 Leaving the rugged coastline of Baffin Island, our crossing of Baffin Bay allows us time to slow down and reflect on the beauty and experiences we have shared. Our team of onboard experts will continue to educate us on the history and wildlife of the region while our naturalists keep watch looking for fulmars and dovekites, pilot whales and perhaps even orcas. As we approach Greenland, we also increase our likelihood of spotting some of the big baleen whales like the fin and sei whales. If one word could sum up today’s experience it would be ‘ice’. Truly one of the wonders of the world, the Ilulissat Icefjord – a UNESCO World Heritage site – spews giant tabular icebergs out into Disko Bay. The glacier that creates these stunning monoliths advances at over 40 metres per day, creating around 50 cubic kilometres of ice annually. Our approach to Ilulissat is dependent on the amount of ice in and around the mouth of the fjord. Our Captain and officers are skilled ice navigators and our ship has one of the highest ice ratings of any vessel exploring Arctic waters. Stan Rogers, a Canadian folk musician and songwriter said it best in his tribute to this historic Canadian waterway! Listen to “The Northwest Passage”!